Pair of Richard Schultz for Knoll 1966 lounge chairs with ottoman. 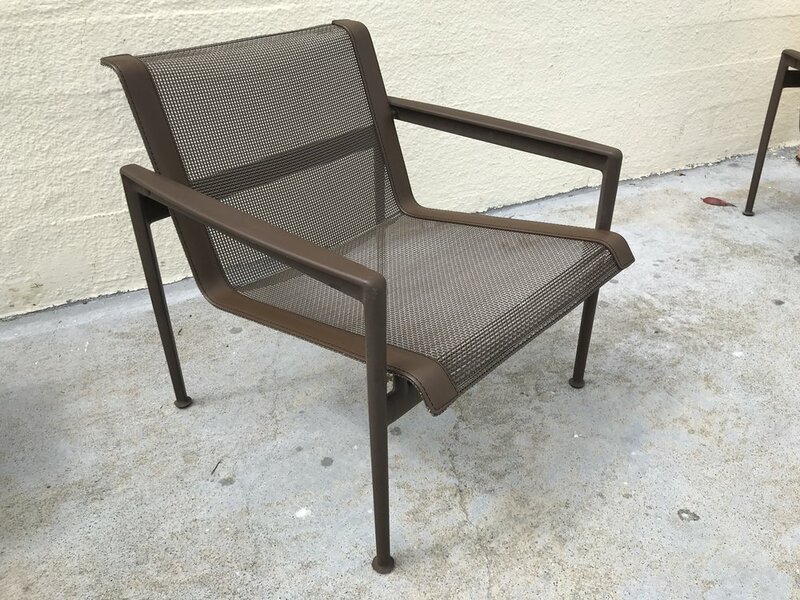 Seats and backs are woven vinyl coated polyester mesh, Frames are welded cast and extruded aluminum finished in weather resistant polyester powder coat. All 3 pieces are in excellent condition with minor surface scuffs due to age and wear.